It's another Digital Dozen week already, and this weeks prompt is pretty fun. Mythical Creatures! I've actually got all my mani's already painted. I've done some classic 'easy' mythical creatures, plus I've mixed in some more random, less thought of creatures too. Add, to bring my achievement level up to 100, I've done a few with free hand designs as well. So it looks like you are in for a good week of nail art. I'm starting with a classic mythical creature, by doing some mermaid scales. Mermaid is just too easy to go past for this prompt. 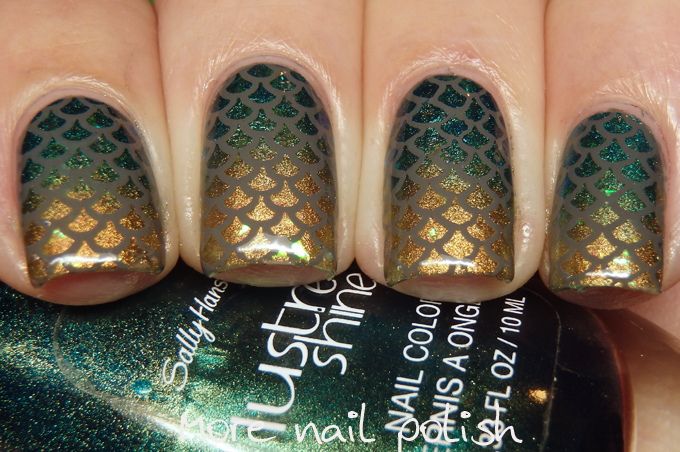 A bit of a gradient, some flakes to add some scaly reflections and a scaled stamping plate. I was rather pleased with myself for not going with the traditional black stamping for once. I always seem to go for black or white, so it was nice to use the muted grey colour this time. 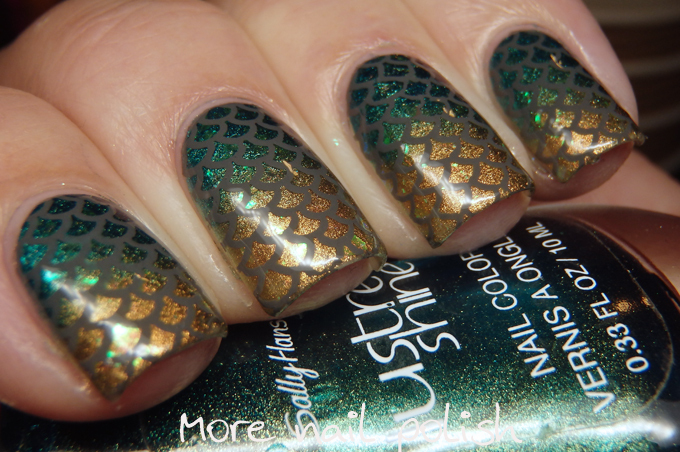 My base for this mani was two of the Sally Hansen Lustre Shine from 2013. The flakie polish is a blue to green one from Inglot, which is almost lost in all the photos, except the macro, but it did throw off some extra shine. 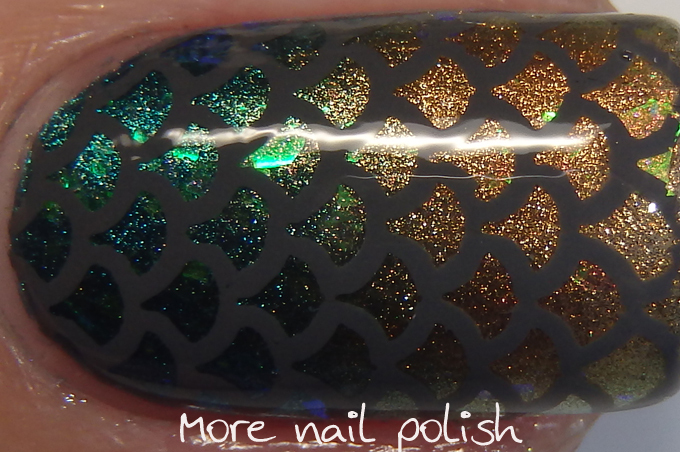 Wow, that gradient is stunning for a dragon mani! Love!